A few months ago I had an invitation to be the opening speaker in a 2 hour lecture at the first International Autism Congress in Russia. As fate would have it I lost my passport at the last minute and could not attend. This has been my most embarrassing moment in both academia and my personal life. However, I am trying to make up to it and presently find myself in Siberia, Russia. It is a 13 hour time difference between Siberia and Kentucky. The temperature is presenlty minus twenty (I must be lucky as this is considered mild weather). Figure: At the medical school I met with the rector Ivan Artyukhov (on my right) and the chairman of biochemistry Dr. Alla Salmina (on my left). Thus far I have really enjoyed my trip. I received a recognition for being a co-founder of the International Autism Institute and the title of Honorary Professor from the city’s university. 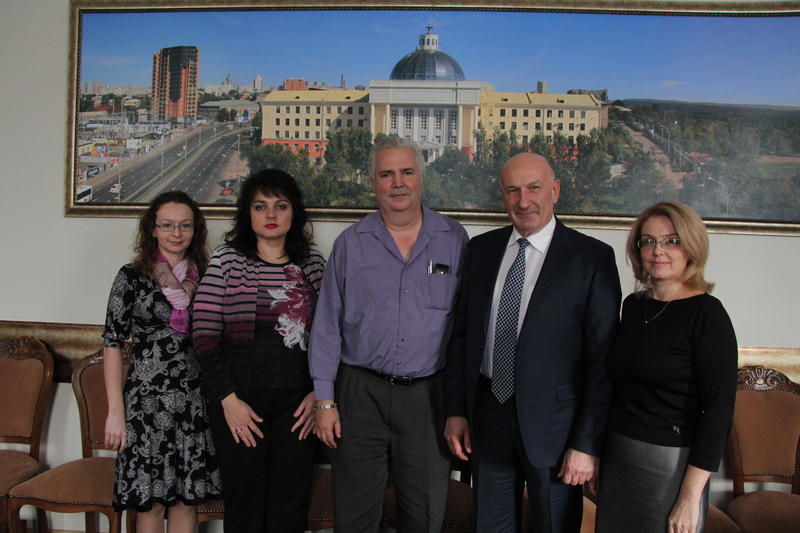 I have also met with the rector of the university, the rector of the medical school, and the mayor of the city. I have been able to visit several schools that support inclusion and have been able to witness first hand some of the educational training methods already in-place for special needs students. As an aside I would like to point out that if you ever come here in Fall or Winter, wearing tennis shoes is a very bad idea. Wearing regular shoes is a bad idea. The only working solution are boots. One of my first visits while in Siberia was to a local camp for autistic individuals. The idea for the camp (as well as for the International Autism Institute) was that of my good friend Olga Bogdashina. 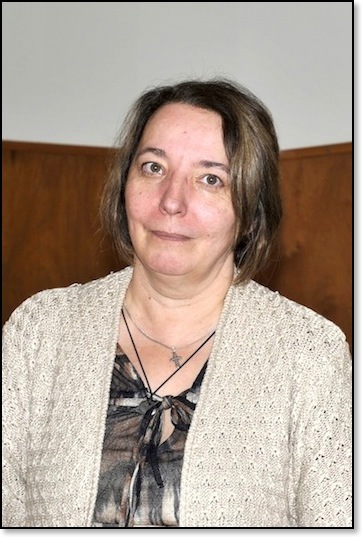 Olga is considered an expert in sensory as well as communication issues in autism. She has personal experience on the matter being the mother of 2 children (now in their twenties) within the autism spectrum. Olga spends half her time in England and the other half in Russia. She is a world traveler and a good spokesperson for autism worldwide. 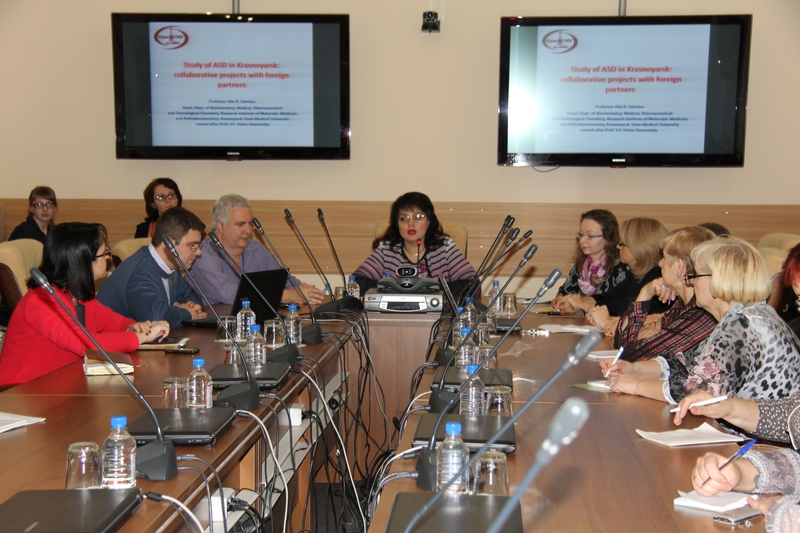 Figure: Olga Bogdashina is considered a rock star of the special needs education movement in Russia. She has written over a dozen books on the subject and was constantly accosted during our trip by fans wanting her to autograph some of her books. Three years ago Olga had the idea to develop a camp in Siberia for autistic individuals. Starting with nothing she has now been able to acquire land and construct three building for children to attend camp. The effort, including construction of the buildings, has all been achieved by the parents of autistic children. Olga has high hopes for the camp as it covers the needs of a very large geographical area (close to 4000 square kilometers). Right now they have a woodworking shop for boys and expect to add some life skill activities for girls. I also had the opportunity to visit a middle school (named as a number: #7 public school) that had 1350 students, approximately 260 of which were special needs. More than half of the special needs children were diagnosed with behavioral problems and would fall under a diagnosis of ADHD. It seemed to me that there is an epidemic of children diagnosed with ADHD in Russia. Because of the interest, in one occasion I was asked to spontaneously give a lecture on ADHD to psychology students. However, the middle school that I visited also had a good number of autistic children; others with Down syndrome had their own school. Approximately 63% of the students at the middle school came from outside the school district. The school itself was considered a magnet school, that is, a school for talented students. This provided quite a contrast as the school catered to both very high achievers and those that have special needs for education. I was impressed by the level of education at the school which introduced intelligent boards, laptops and computer education programs since early grades. The facilities of the public school were spectacular. I was surprised to hear as an explanation that half of the budget from the local government is devoted to education and that the number of teachers and the quality of their education is quite high. Within the school I met multiple psychologists as well as a good number of social workers. There were several differences in the educational system for special needs children that I would highly recommend copying in other countries. First, parents are encouraged to attend the school along with their children. They bring along the children’s preferred toys and books. However, parents work with a number of different children, not only their own. This aspect of education is meant to increase socialization and help in generalizing any educational gains. A second aspect that I really enjoyed is that the school opened with a one hour course where children were made to work in teams. The activity was meant to increase socialization and promote team building activities. This happened before children partook in their regular educational classes (i.e., math, history, etc). During this hour devoted to socialization they had competitions with computer generated applications and other activities developed by psychologists. In one activity, as an example, children made and colored individual pieces of a butterfly. When putting the pieces together, the end result of working on individual parts of the butterfly provided unsatisfactory results (putting together the butterfly was a mess). The children were then asked to work in groups to build the butterfly. The final result was far improved. A third aspect of the education was when children were asked to identify any problems in their personal life that was troublesome for them. They were given a card with a fable and asked to see if the fable could be applied to their problem. Considering that this happened in a second grade class, I was astonished by the level of abstraction of the young children. Lastly I was especially impressed as one of the initiatives of the school went clearly outside of education. Indeed, the school had a directive to change the perception regarding special needs children within the local community, to try and remove any stigma. The motto of their public school system, proudly displayed along their walls, was that everybody is “different yet equal”. Coming back from Russia was physically exhausting. It was a nerve wrecking experience running around airports where neither English or Spanish is spoken and having to meet deadlines. This reminded me a little as to what an autistic person may feel like in a world of over stimulation where they do not understand the basic operational precepts of the immediate surrounding. Addendum 11/12/13: Photographs of the trip to Russia taken at 2 different meetings where the future of possible collaborative international efforts regarding autism were discussed. Professor Alla Salmina headed the discussion. I was the honored guest seated to her right side. The discussion took effect primarily with the faculty of the school of medicine. After the meeting we went to meet the rector of the school of medicine. 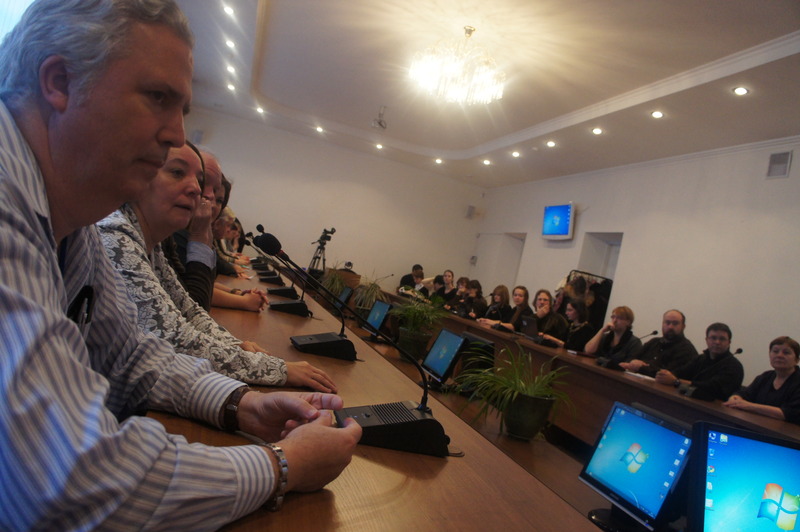 Another group discussion took part primarily with the faculty from the state university. In this occasion we were also joined by the Mayor of the city and other governmental officials. Olga Bogdashina iis seated to my left. Una mas vez lo felicito y lo aliento a continuar, para que podamos continuar nosotros tras sus pasos… gracias. a Su dispocición. con afecto Humberto Guerrero.